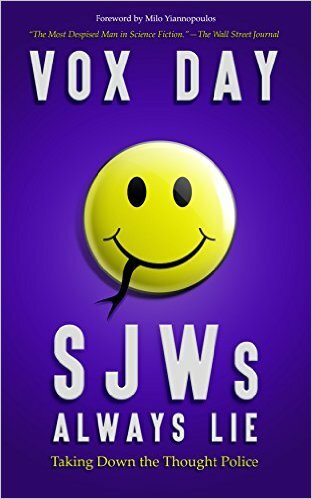 Vox Day’s SJWs Always Lie, released today, is at this writing the #1 Amazon Best Seller in two categories. Though why should you believe me? You know what SJWs always do. I have a copy and will read it and report back. This entry was posted in Like Show Business and tagged Vox Day by Mike Glyer. Bookmark the permalink. And on Amazon.co.uk, Theo Pratt is within 200 rankings of that other guy, so it will probably only take a few UK purchases to have the distinction of officially preferring Pratts to Poxes.